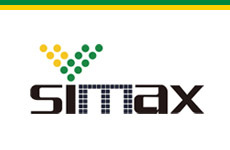 Simax is a Chinese photovoltaic company specialized in the production of solar wafers, silicon ingots, solar cells, photovoltaic systems, solar modules, and other products for solar applications. Note: On June 15, 2017, Simax solar panels were removed from the Clean Energy Council's Approved Products List. Update August 2017: Simax solar modules have been relisted on the CEC Approved Products List. Since 2004, the company has been fully vertically integrated meaning that every step of the production process, from procurement to the final installation, is completely managed by Simax itself. This allows the manufacturing phase to be flexible and cost effective. Simax’s production lines supply mono and polycrystalline solar panels with a power ranging from 190 to 260 Wp, making them suitable for residential and commercial applications alike. The company can count on several international branches in order to meet the customers’ needs, and one of them is located in Dingley Village, Victoria, meaning that Australian clients will be able to get in touch directly with the company should they need assistance or should they have specific enquiries. If you want to know more about Simax’s array of photovoltaic products, give a look to the reviews here below written by users who previously tried out their solar panels, or browse the photovoltaic systems listed on this page to find the ones that best match your needs and requirements. Seem to work according to specs. I am amazed how early in the morning the system starts operating. See below for how the panels are positioned. No issues to date over the last 2 years since install. As at 1:20pm AEST 22/05/2014 they had produced 9.1 KWH for the day (according to the inverter LCD) on what I would call a mild and pleasant winter day in a location about 8Ks from Sydney CBD. I had the panels taken down and stored in my garden from 09/07/2013 to 04/10 2013 while I had building work done. I used the firm who installed them originally (Soltek Energy) to remove and replace them. I was charged $1,500 for the 'remove and refit'. The panels now appear to be working at the same level of efficiency as before the interruption. N/A I had an electrician installing a reverse cycle air conditioner and needed access to remove iron sheeting from the roof.-Problem - He couldn't undo the panels. Calling the company Suntrix, we were told that any warranty would be compromised if anyone other that them undid the anchoring screws.They gave my air-con installer permission as he said he was appropriately ticketed, but the screw/bolt head was unique. I drove to the Suntrix office on other side of town to pick up an appropriate drill bit. The air con installer found the screws so tight that the heads stripped and still couldn't remove them. Eventually, Suntrix came out, removed the panels and told me to call them when the electrician had left his job complete. More than a week of incomplete panels and unfinished trade work. Nearly 12 months installed no sign of any problems at all. Seems to work well in poor conditions got 21.7 kWh today 13/9/2012 sunny on and off good result. For my 1.5KW system they have produced just over 2400 KWhrs total of electricity in 1 year exactly (4174 hours of production). About half of that has gone back into the grid.